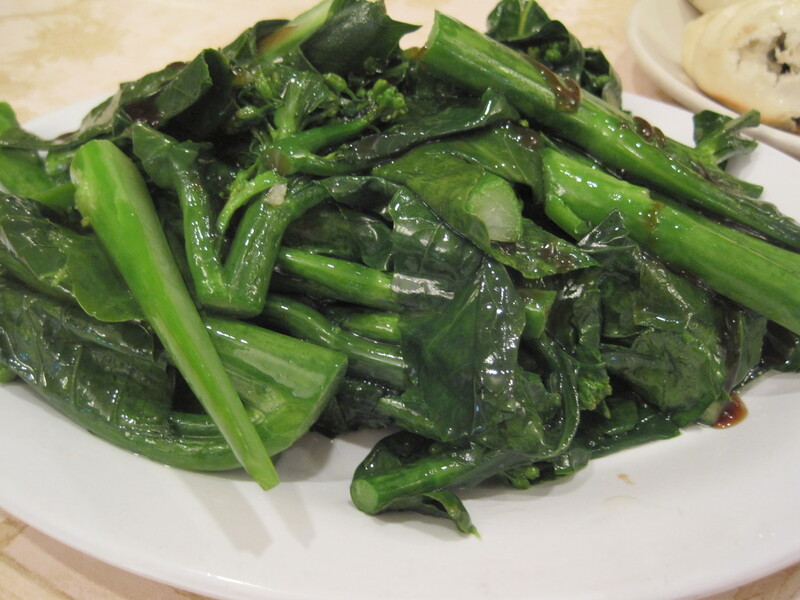 By far the best known dim sum restaurant in the Atlanta area, we’ve been going for a long while, but we hadn’t gone since my blog started and we hadn’t gone post my diagnosis with diabetes. 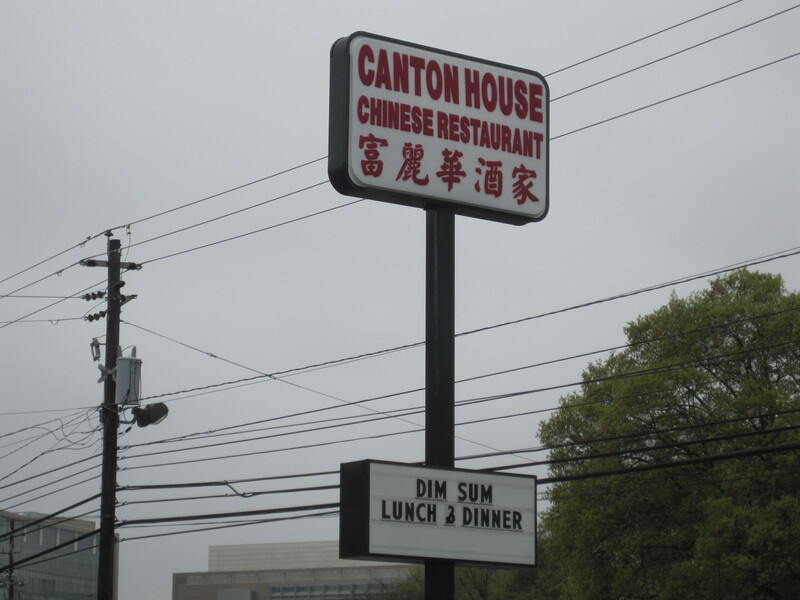 Is it possible for a diabetic to eat at Canton House and eat safely? It’s not like a diet of dumplings is going to do me any good. 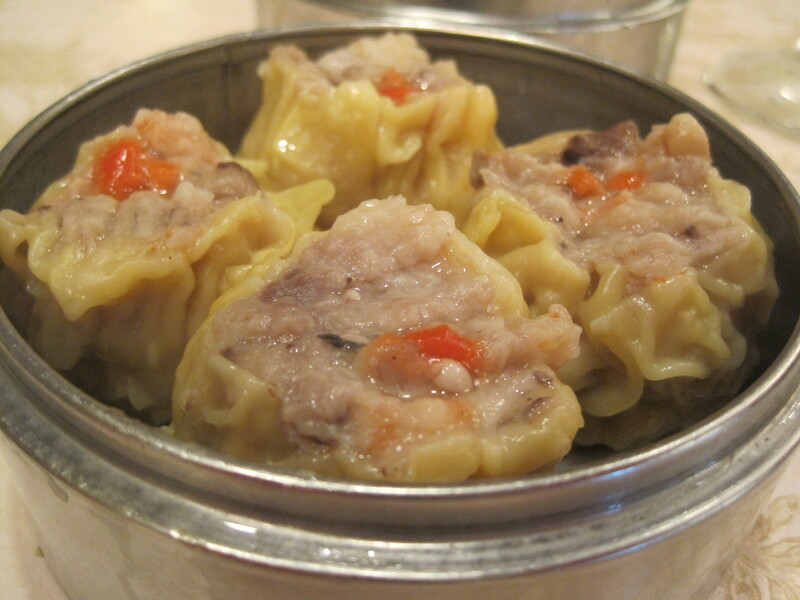 For those who haven’t had dim sum before, small plates of food, largely dumplings, are brought to each table via carts. 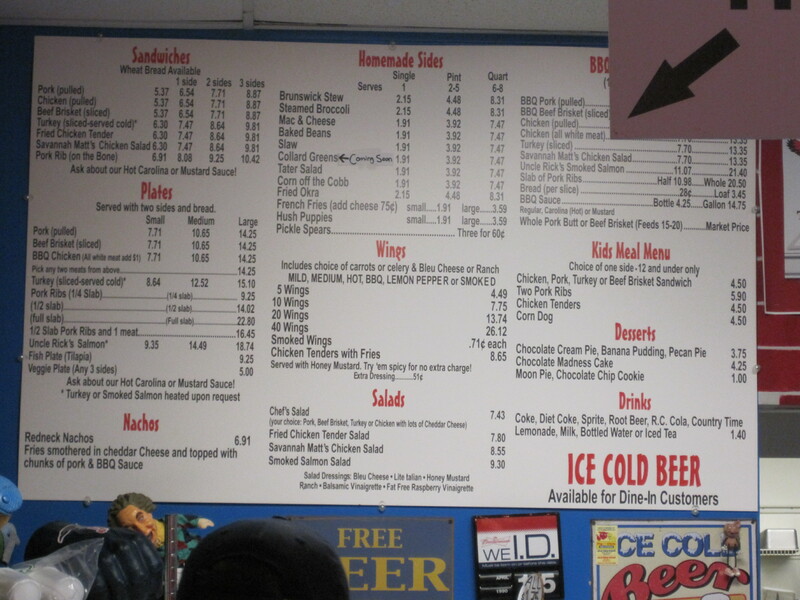 You select which items you want and they’re placed on the table, and a count of what you eat is made on a ticket. 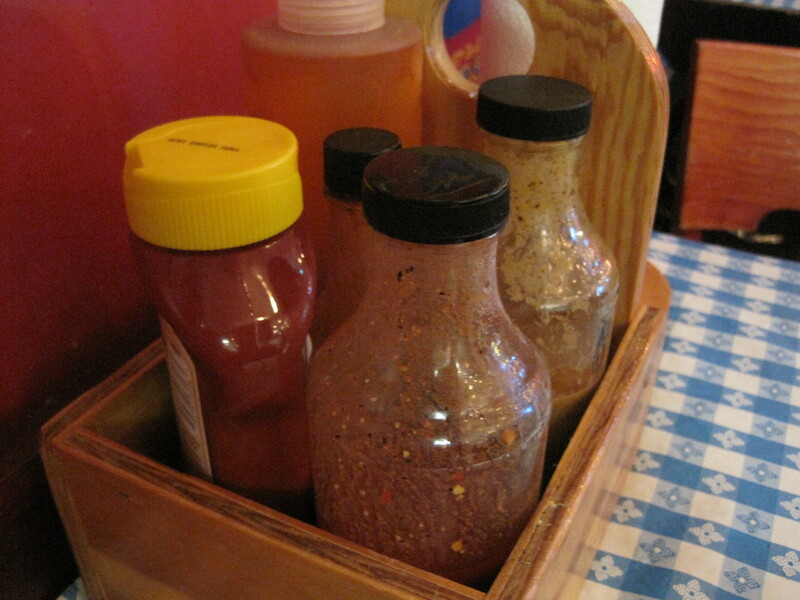 At the end of the meal, the items you’ve eaten are totaled and you pay for what you ate. 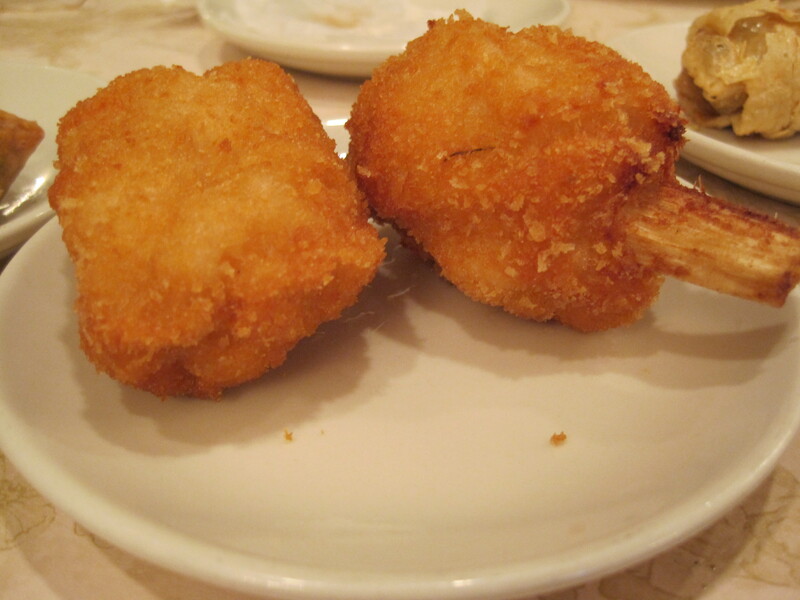 To note, dim sum are the food items and the service style is called yum cha. 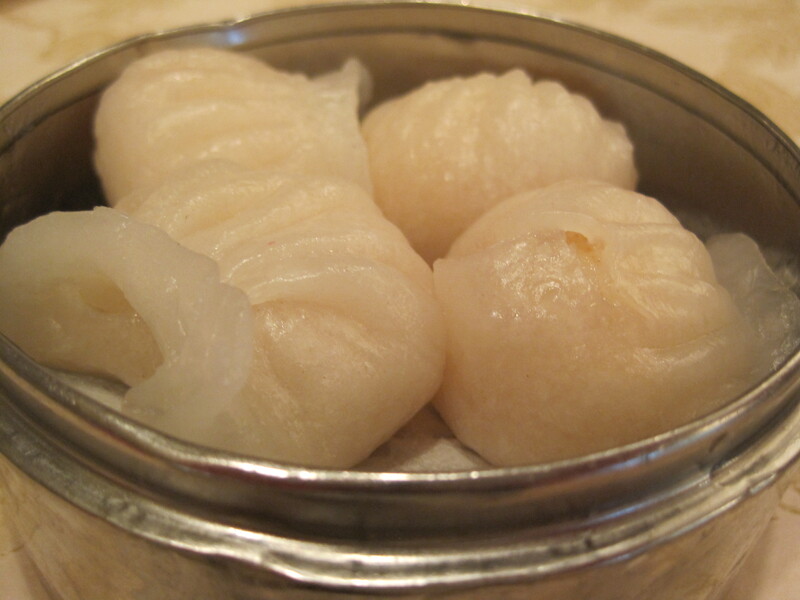 When I first encountered dim sum, it was generally served only around lunch. 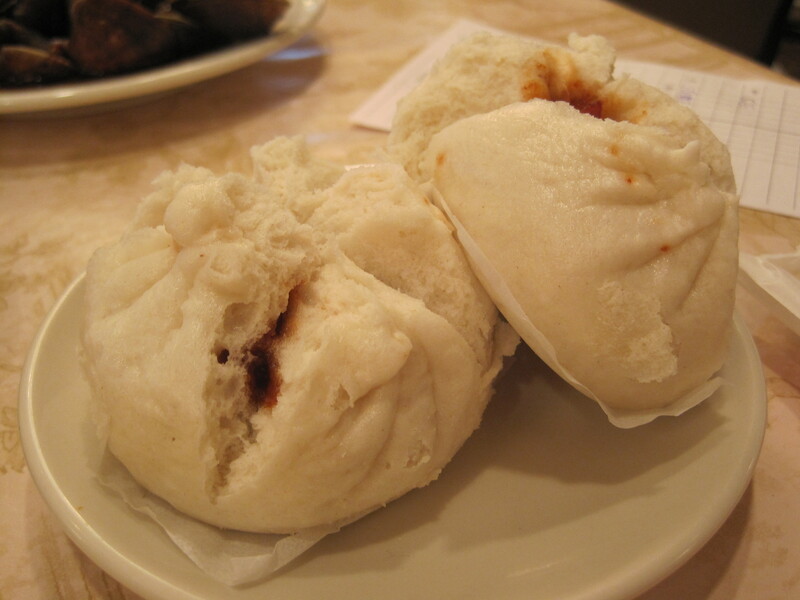 In San Francisco, dim-sum, rather than just being a breakfast or lunch thing ( e.g. 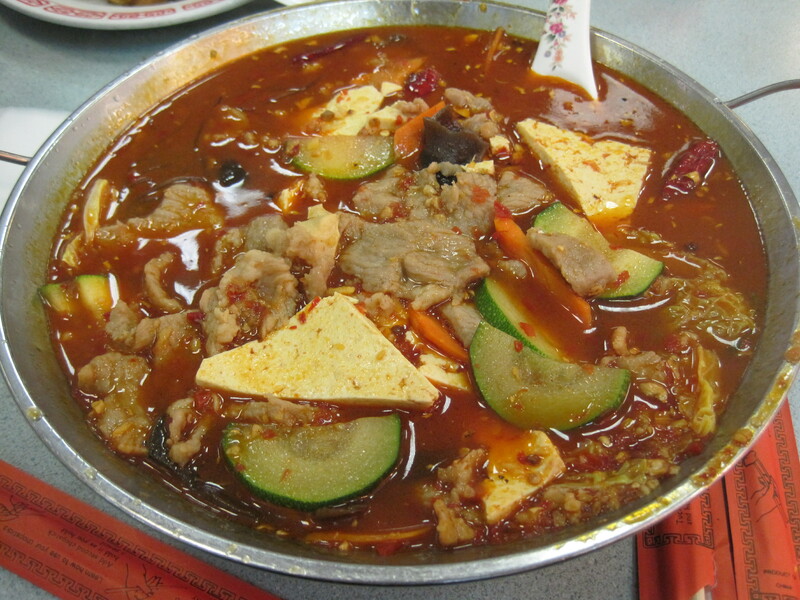 Ton Kiang) is served well into the night. The street sign above suggests that it’s beginning to become the same in Atlanta as well. 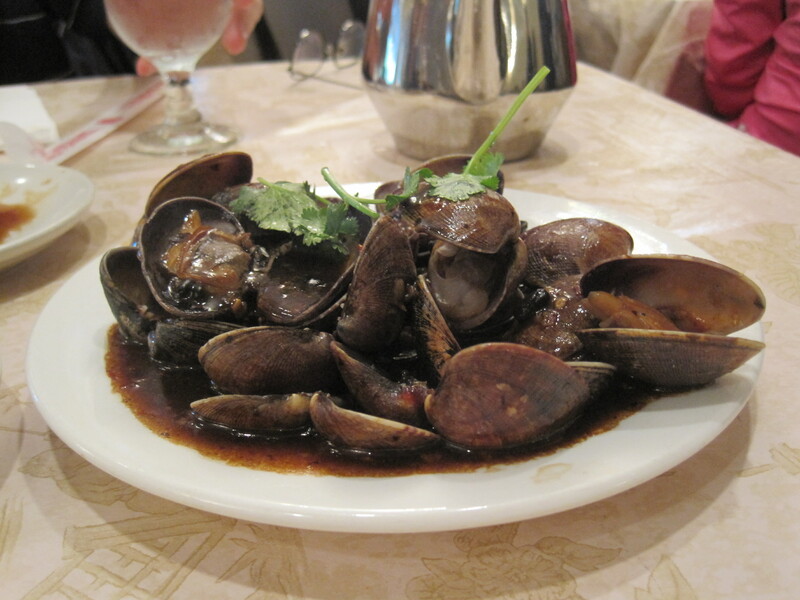 There was a fish filet and also clams with black bean sauce. All three of these made my task easier. 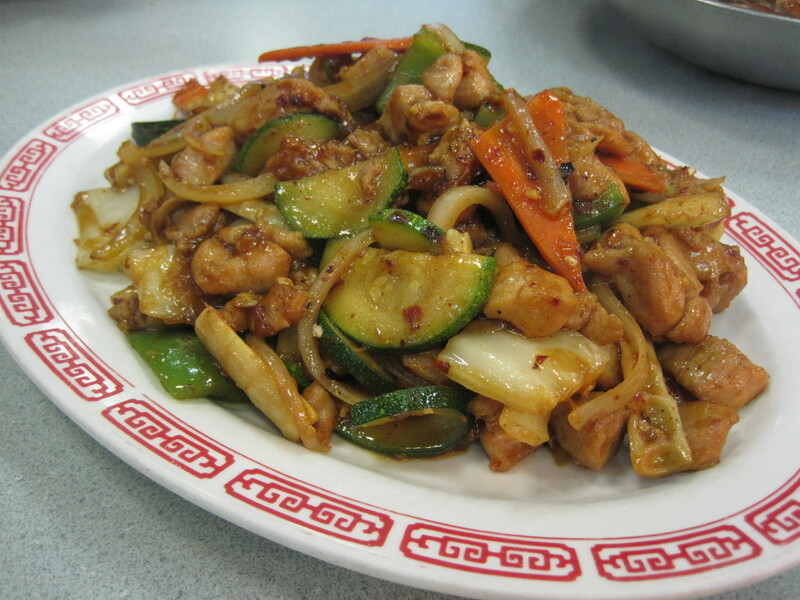 Of course they have dumplings as well, and plenty of them with pork and shrimp. Just my take on this kind of eating, but you don’t want to overload on the variety of ways they can serve shrimp. 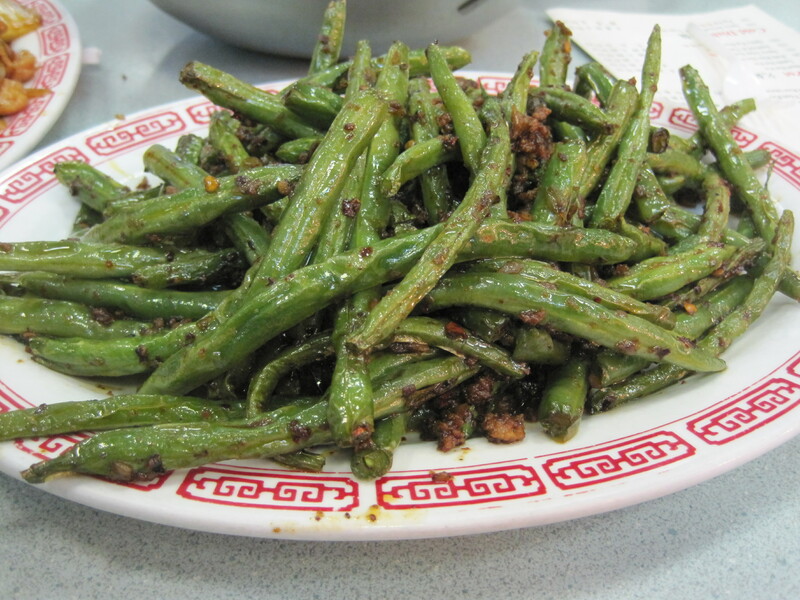 Get enough for the taste and eat other things as well. 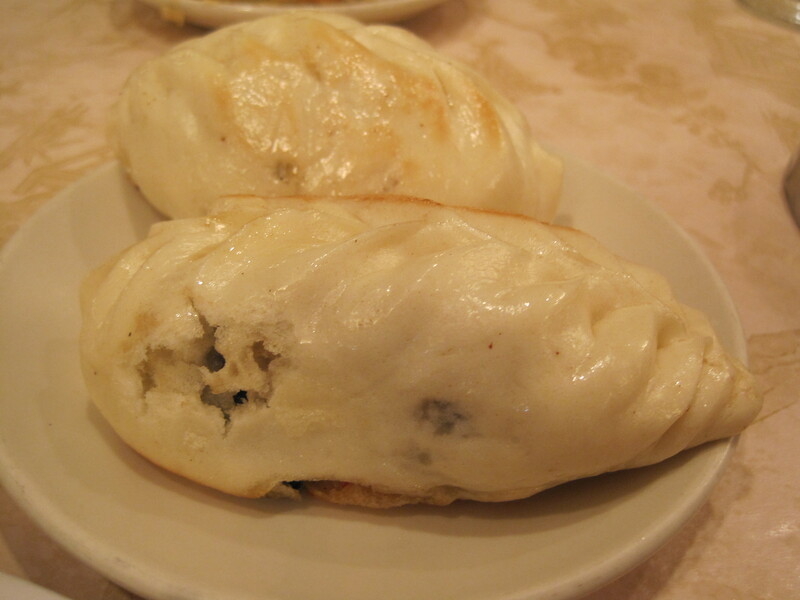 This dumpling was stuffed with barbecue. Neat, that. 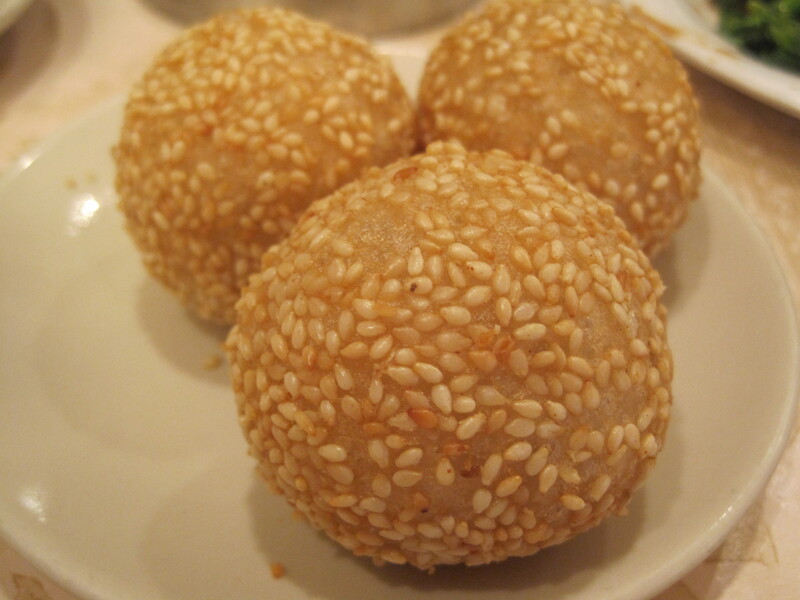 And to end, my wife just had to have sesame balls. She loves these things. Service was really good this day. 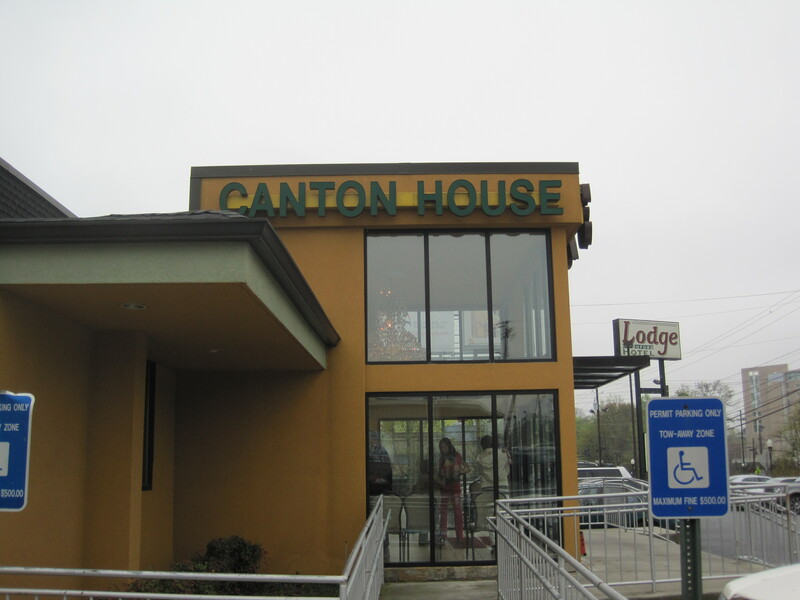 Overall, Canton House is a great little eatery. Highly recommended. Mad Italian. Easy to find, just off 285 heading east, perhaps the easiest of the Savoy Drive restaurants to see along the Interstate. Great commuter stop, especially when the Loop resembles a parking lot. Known for cheese steaks, so I was developing an interest, yes. Foodie Buddha, the Enlightened One, has troubled more with cheesesteaks than many (posts here and here), and on the latter link some time back, I said what I thought of steaks. It is indeed true that the best I ever had came from a basement cafeteria at the University of Pennsylvania, using provolone cheese and a lot of those spicy cherry peppers the Philadelphians favor. I had my share of street steaks back in the day. 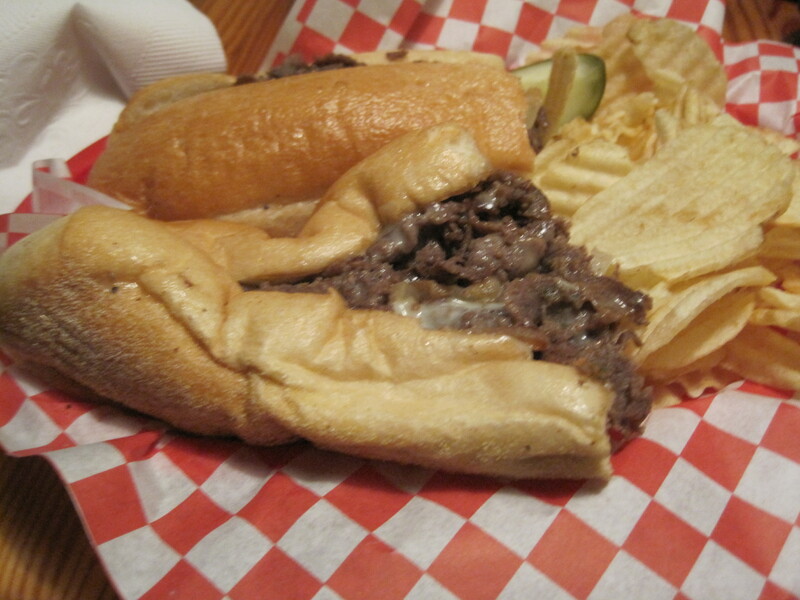 The basics of a cheese steak are simple: inexpensive cheese, lots of onions, inexpensive thin sliced steak. It’s in the execution that it succeeds or fails. By that criterion, I think Mad Italian’s steak is a success. Dripping with cheese, I’d have liked a few more onions, and I was slow asking if they had hot cherry peppers. 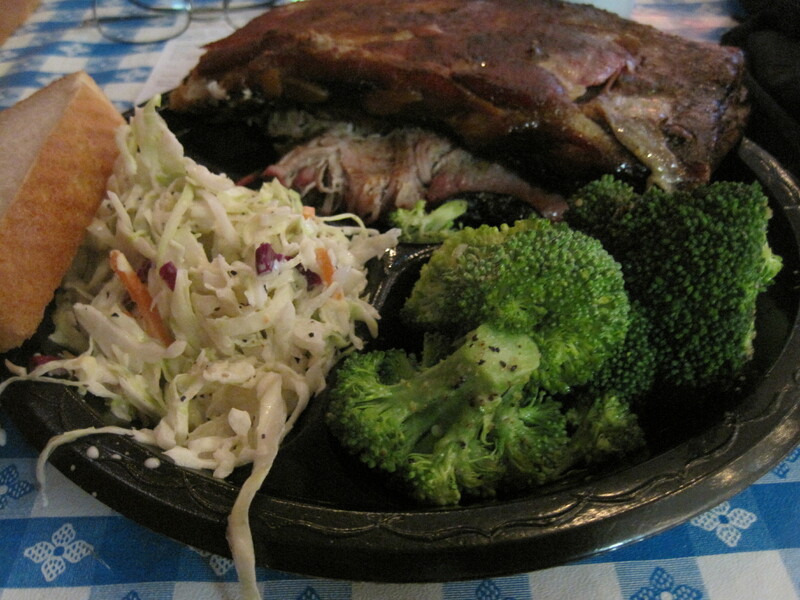 Otherwise I think this steak is pretty stinkin’ good. Drippy cheese is everywhere. The onions they do have add to the flavor. The roll is soft and doesn’t get in the way. A pair of thumbs up from this commuter. It was a meeting sponsored by BuHi, and there were five bloggers and a guest there. No, no names given at this time. Live to Feast was there, and I was there. The author of Spoonfed (Atlanta) was there, as was Octosquid. Everyone was interesting in their own way, everyone was civil, and BuHi asked us all to choose a spot and try some food. 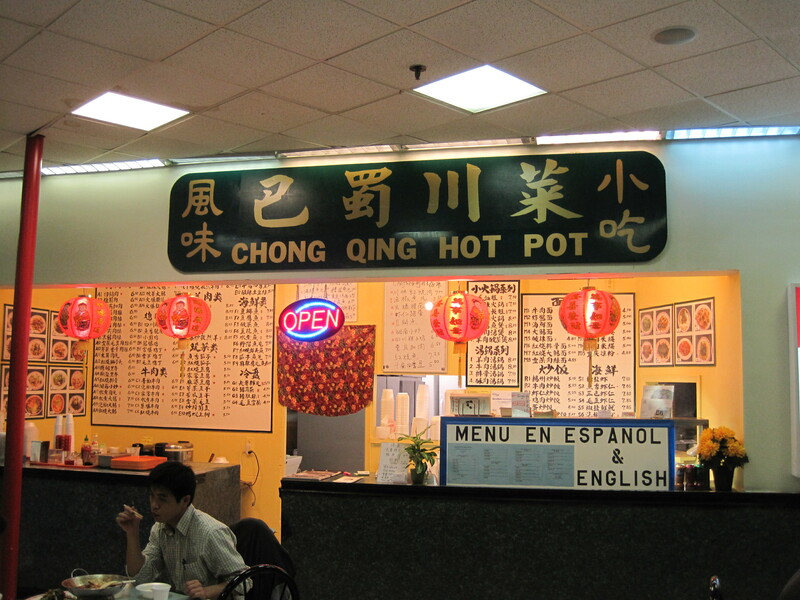 Chong Qing Hot Pot is one of the vendors in the Chinatown food court. The man I spoke to was civil and the place reminded me so much of the restaurants in the Japantowns I’ve been visiting, with all the pictures of food. 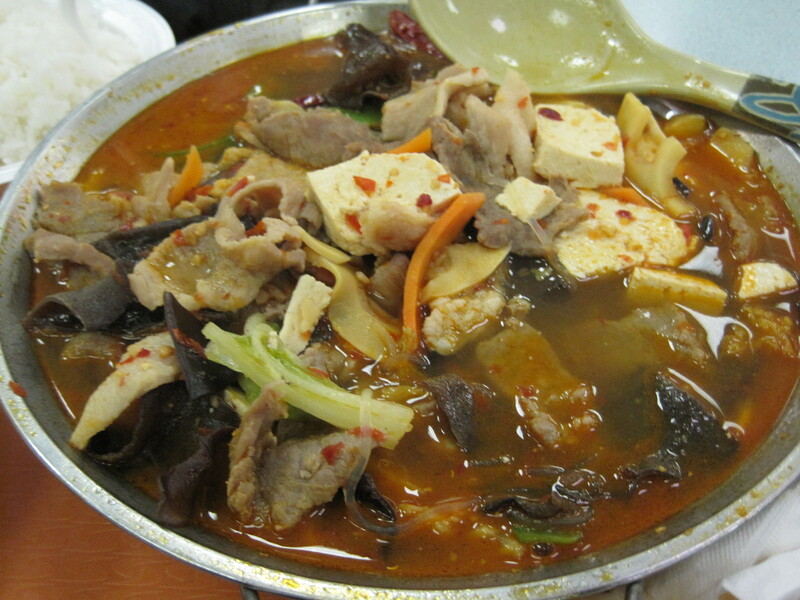 I’m still thinking about that bowl of soup, the meats, the spices, the vegetables, the mushrooms. 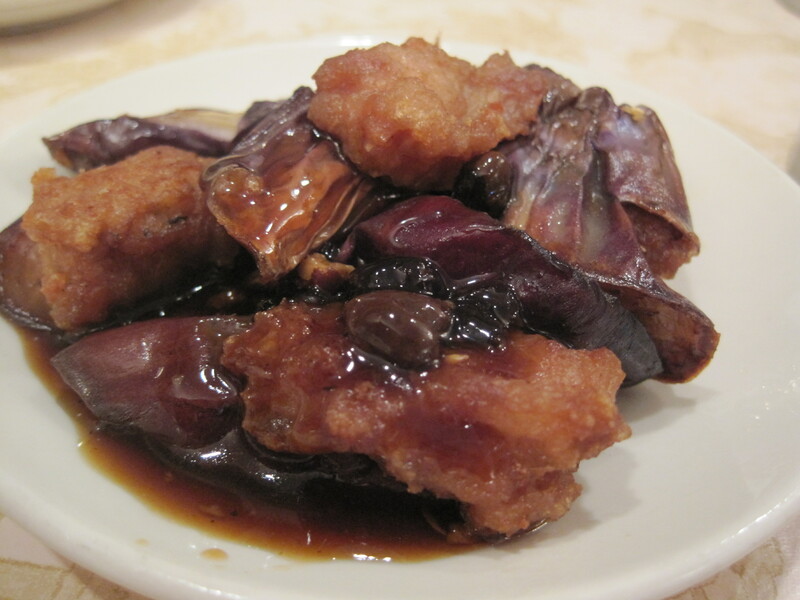 Largely I think it was the variety and texture of mushrooms that made it so wonderful. The heat was enough to make me want rice at points, but by the end of the meal, the burn had all gone away. 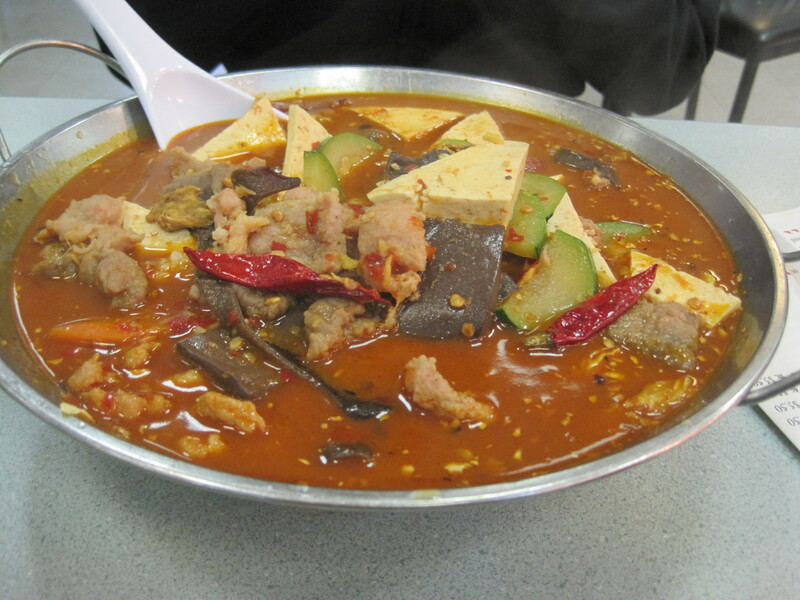 The name was simple enough: spicy hot pot, but the taste and textures were exceptional. The serving size, incidentally, is enough to serve two, and was less than $10.00. Verdict: Mean bowls of soup here. Highly recommended.